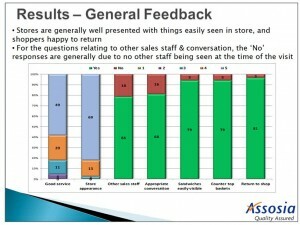 Mystery shop each month, provide feedback and a league table by company and area. 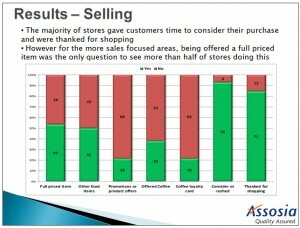 Assess the performance across their shops to ensure good quality of service. 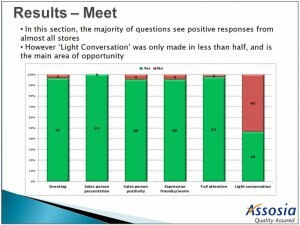 On each visit, our associates were required to order a sandwich to assess their customer service experience and the staff’s capabilities of attempting to up-sell to a higher priced item. Our team also monitored whether the staff recommended a coffee with their sandwich purchase and if a loyalty card was given. Full feedback and results were provided back to our client. 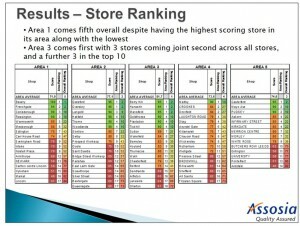 Assosia also created a league table by company and area for quick insight into the shops visited. 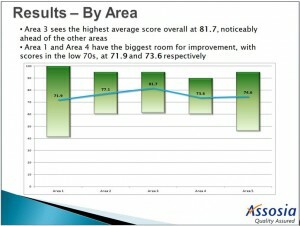 The results provided allowed our client to focus on the stores which were not performing as well as others and take the appropriate action.